Heart rate monitors are important devices for people engaging in any form of physical activity and are concerned about their heart rates. This device helps you to monitor your heart rate when exercising and adjust your speed accordingly. It is a valuable asset for people that always watch they heart health. That said, here are essential things to consider when buying heart rate monitors. 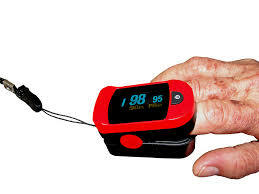 These type of heart rate monitors use optical sensors to get the readings of your pulse rate via the skin. To get the readings, you will have to wear the monitor as an armband or as a wristwatch. One benefit of this type of heart rate monitor is that it guarantees you of real-time readings. However, it has its limitations. To mention them, they include the inability to get readings from a tattooed body or dark skin, and the accuracy of your reading is affected by interference from muscles. There are many types of heart rate monitors, but a good model should have the following features. To start, a good heart rate monitor should have an alarm to warn you when things are not right, should have a watch, and monitor your work rate. To top on this, it should have a fitness test, a computer application, and pre-programmed workouts. This is an important feature to look out for in a monitor of choice. Ideally, you should not strain when reading the numbers, it should have a backlight, and the buttons should be well-labeled. More to this, it should be easy to learn how to operate it. You also have to look at the applications in different heart rate monitors. For instance, will the monitor give you audio updates at specific intervals? Is it possible to use a variety of apps with the chest strap? All these will be key in ensuring your comfort. Therefore, do not underestimate the need of checking on applications on the monitor of choice. This should be one of the key things to look for when buying heart rate monitors. Ideally, the heart rate monitor of choice should be accurate. One thing that is vital in ensuring accuracy is that the monitor should have a chest strap that fits comfortably around the chest. Besides, the belt should be in contact with the skin, to be sure of accuracy. Price is also an important aspect to consider in your purchase process. However, this should come last in the list. You ought to look at key features first and then make a price comparison based on value and its relevance to you.